Based within five regions (for state chapters) and five federal service areas – provide their members locally-based CME, networking opportunities, social gatherings, timely information, advocacy and job resources. Below are links to all 56 of AAPA’s constituent organization chapters. 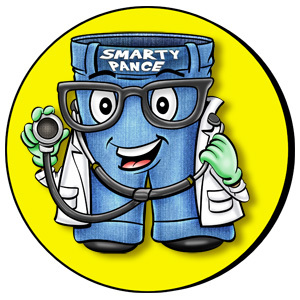 I'm Stephen (about) (contact), a proud family practice PA of 14 years. 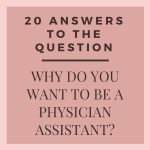 My passion is helping PAs, PRE-PAs or students like yourself attain (or maintain) your dream of becoming a PA. Join our community of compassionate PAs who want to make a positive difference in the world! 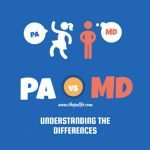 Why do you want to be a PA? 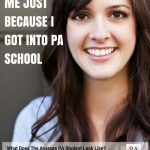 We have helped 100's of PA school applicants just like you answer this question. 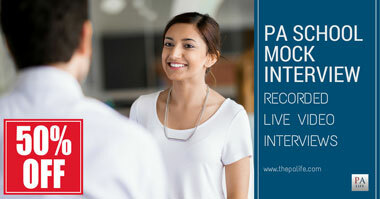 We offer affordable, recorded online interviews with an unprecedented chance for self-critique, with feedback and advice from our team of top PA school admissions experts. Don't send your Resume, CV or Cover Letter without a proper edit. We offer CV, Resume and Cover Letter revision specific to PAs, Pre-PAs and PA students. 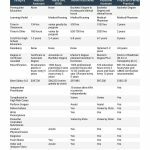 Make your CASPA resume shine! 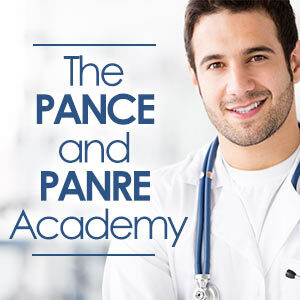 Get 60 days of PANCE and PANRE Board Certified Review Questions and Answers delivered directly to your inbox. A new question is delivered daily with full explanations and answers. Sign up below and get started today. I just wanted to give you an update! So far I have had two interviews and been accepted to both! I have three more interviews scheduled as of right now, and still waiting to hear from a handful of schools. Thank you so much for all of your help with my essay! Sue was great! She edited my essay in a short time frame and the comments and feedback were very informative. She helped link all of my main ideas and gave great advice regarding appropriate information for the essay. I highly recommend this service. I can’t begin to explain how thrilled I am to have stumbled on this service. Like many other PA applicants, I was unsure of whether I was on the right track with my personal narrative. Reading Stephen’s two different PA school application essays showed me how to come up with something unique and creative, but the private personal statement review really made my essay shine. Duke was so kind and helpful in helping me understand what admissions committees look for in a strong essay. Our phone conversations were so thorough, as we read through and discussed every word in my essay. Sue’s guidance helped me cut out the fluff to reach the character limit. The edit that I received from Sue was exactly what I was hoping for. She was able to tighten up my draft beyond my personal skill level and made edits that I was would have never thought to make. She has definitely made my personal statement stronger. Thank you, Sue! Sue Edmonson has been a great help in ensuring my personal statement made sense and fit what information I was trying to convey. Her ability to find the pertinent parts in an essay and gain more information about me to make the essay seem relative to my pursuits was truly a Godsend. Would recommend her and your company to others. Thanks! Just wanted to let you know I got into UC Davis! I can not thank you enough for all your help! Susan did a fantastic job editing my essay! She guided me and gave me suggestions for strengthening certain sections and equally took out weak parts. After I followed her recommendations, I really felt like I had an essay where every sentence mattered and reflected who I was. Thank you so much Susan for your help. I feel that I have a stronger essay because of your honest feedback and your help! I got into my first choice program University of Southern California (USC)!!!! Thank you so much for your help this cycle. I’m forever grateful. I wanted to let you know that after 4 interviews and 4 waitlists, I was informed a seat opened up at my number one school Drexel in Philadelphia!! So I have officially enrolled in a PA program. This feeling is the lightest I have ever felt and it is incredible. Aside from myself and my mom who has emotionally supported me through this all, you were a huge part of making this happen. I cannot thank you enough for helping tell my story. If you ever want a review to be written somewhere, I would be glad to write one. I have nothing but respect for your talent in listening and translating someone’s intention and experiences into a rounded and full story. Thank you again. Holy cow! I wanted to let you know I have been accepted to PA school. I will be attending the Franklin Pierce Physician Assistant Program, Class of 2019 in West Lebanon, NH. I cannot thank you enough for being part of my journey. If you are reading this you might have been like me skeptical and trying to find a way to write a stellar essay for your PA application. I want to share with you my exceptional experience using this service. 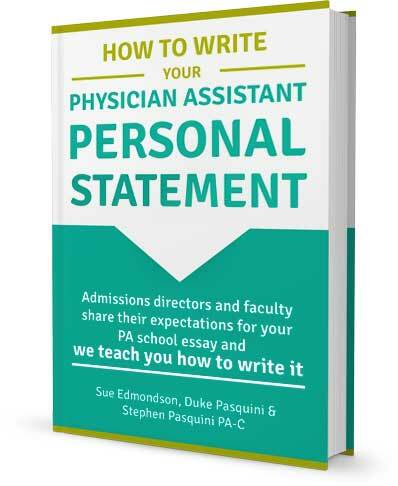 First, do yourself a favor and BUY the eBook, “How to Write Your Physician Assistant Personal Statement.” I read it twice. Once before I started my essay draft and then again during. I cannot stress how helpful the book was in clearly stating what the Admissions Directors are looking for in application essay. Next, the book reviews how to formulate a proper essay with clear instructions, easy reminders of the writing process, and excellent examples of good and bad writing choices. After several drafts of my essay I made an appointment to work with Duke Pasquini, one of the authors of the guide, through the internet and via phone to help with editing and my length issue. Duke’s professional experience and kind and straight forward demeanor allowed me to create a winning essay that was an authentic representation of me. Not only did I receive an interview from my top choice of PA school I was accepted a week later into their Physician Assistant Program, Class of 2019. 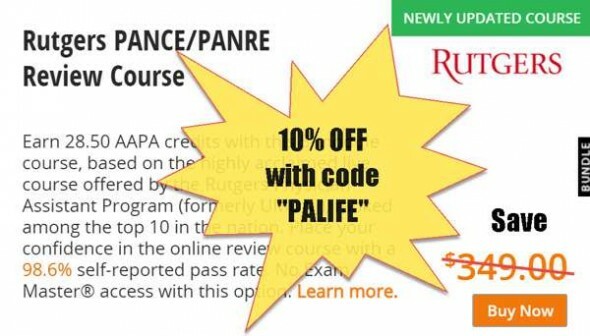 Thank you, “PA Life” for being a part of my journey. Susan did a fantastic job of editing my essay! She guided me and gave me suggestions for strengthening certain sections and equally took out weak parts. After I followed her recommendations, I really felt like I had an essay where every sentence mattered and reflected who I was. Thank you so much Susan for your help. I feel that I have a stronger essay because of your honest feedback and your help! This is just a great service overall, because not only is it an editing service, it is specific to the PA personal statement. Sue did a wonderful job editing my essay, and pointed out important flaws in it that I otherwise might not have noticed. Her edits highlighted the main points that I was trying to get across in a much better way than I had originally written. Overall, very satisfied with the results, and will have to keep you updated about the interviews. Thanks so much! I am very pleased with the services provided! I received an email almost immediately upon submitting my essay for review, and within 24 hours my essay review was completed. I would definitely recommend this service to any PA school applicant before they submit their essay to CASPA! Thank you for your help! The edits I received were extremely helpful and insightful. I think they really brought my essay to the next level, and I am thrilled with the outcome. Thank you!! This service was invaluable – I felt decent about my essay, but it’s remarkably better. I appreciate the level of detail and courtesy even with my discounted rate. You guys are too great! Your services have eased the stress and anxiety that results from guessing whether or not your essay contains the content that many PA programs are looking for. Your services were prompt and genuine. It is clear that you have the applicants success at heart. Thank you! Thank you so much for your assistance with perfecting my personal statement. This service is truly helpful. They were able to easily edit and help to convey exactly what was in my heart onto paper. I was accepted to my first choice PA program this week!! Duke is great! I had such a great time with him editing my personal statement. So glad I found this site! I greatly appreciate the help because it answered questions and doubts I had about my personal statement. I feel much more confident in submitting to CASPA. Thank you very much, Sue! Very helpful. I needed help figuring out what to cut and Sue was great at showing me what could go without sacrificing what I was trying to convey. This was the most amazing experience! I felt so confident about my topic and essay after our meeting. Duke got back to me quickly and worked around my crazy schedule. The editing of the essay was professional and gave me insight I could not have received any other way. I only applied to one school because it is really the one I would like to go to the most and I got an interview!!! Thank you so much for all of your help! Sarah is the best! She gets me and puts all her efforts for my message to come across in a clear and concise way. Obviously, her editing skills are superb! But she also has a very sweet and pleasant way of being. 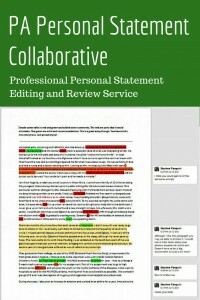 I highly recommend Sarah and the PA Life Personal Statement Collaborative. I have not yet received an interview, but keeping my fingers crossed! Sue was very attentive to details and her comments and edits made a perfect sense. Thank you for your help! The service provided was excellent. I really appreciate Duke taking the time and reviewing my essay multiple times and at that same time, making sure I am comfortable with the wording. Thank you for all your help! 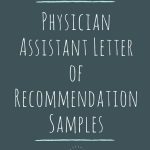 Thank you so much for helping me with my physician assistant program application essays and interview! I am so excited to let you know that I received multiple PA school acceptances and have decided that I will be attending Cornell University’s PA Program in New York City. The program begins in February 2019 and I cannot wait to begin! I truly appreciate all your help and encouragement throughout my PA application process. I am extremely pleased with this service. It is exactly the kind of constructive criticism I was hoping to receive. I had my essay reviewed by “myparesources” and was not very satisfied with their general comments. Sue put a lot of time and effort and gave me concrete examples of how to change my essay for the better. I WILL recommend this service over all others. Thank you so much! Your services have eased the stress and anxiety that results from guessing whether or not your essay contains the content that many PA programs are looking for. Your services were prompt and genuine. It is clear that you have the applicant’s success at heart. Thank you! I worked closely with Duke and Sue for the revisions on my personal statement. They must have edited my original version half a dozen times before they felt it was good enough to send off and never made it seem like an inconvenience. They always responded to my e-mails within a 24-hour time frame but usually got back to me within a few hours. I am very pleased with how my personal statement turned out thanks to all of their time, ideas and direction. 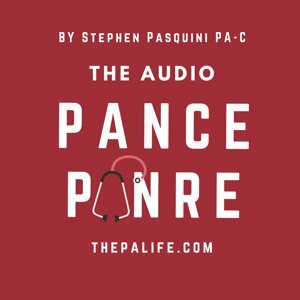 The service the PA Life provides is well worth the money spent! I owe you a lot! Thank you so much for helping me in this important process. God bless you. I just want to let you know I got into the pa program! I want to give you a huge thank you for helping me nail the interview and make a great essay. Thank you, x 100,000! 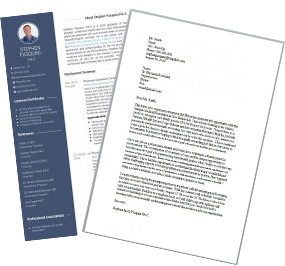 I am very happy with your service and would highly recommend it to any PA applicant. Duke helped me to put my thoughts in order and to make significant changes. My personal statement sounds great and seems easy and interesting to read now. He took a lot of time to explain his way of thinking and to understand what I am trying to say. Thank you so much for your help. I really appreciate what you are doing for others. Mr. Pasquini was very patient, accommodating and direct in his editing/advice. He was honest, in a way that I needed due to the importance of the letter. I even picked up a few tips to enhance my writing from our meetings. Great experience and will definitely recommend him to others! Ms. Edmondson was incredible! She provided great feedback and answered all of my follow up questions. I will keep in touch as to my interview offers. I was so glad that I chose to have Duke look over my essay, he turned it from long, rambling, and scattered to a much more concise, well written essay. I really feel as though it represents me well! Duke always responded quickly and I felt as though I got a lot of value for the money. Thank you! Sue did an amazing job editing my personal statement. She included all the aspects that I wanted in the statement and made it flow so much better. Thank You! Thank You! This company is THE BEST! Carly did such an awesome job of not only revising my personal statement but also explaining every step she made. It helped me understand why certain things fit better in different places and helped improve my writing. I am able to submit my applications confidently, knowing that I have a strong personal statement. I HIGHLY recommend this service! I want to say thank you, first off for providing such a service. It was difficult having to write a personal statement and then have others critique it, when there is not a clear rubric to follow. I think having to write a personal statement is such an emotional process, and then having others edit it, can be a very harsh pill to swallow. Thank you for your edits, I have no doubt that this process will make my personal statement more compelling and hopefully a more competitive applicant. Sue was a huge help with my essay. Her edits made my essay sound much better grammatically and she pointed out some content problems I completely missed. She prompted me to write a few more paragraphs before her edit and added the information into my essay. That made a big difference. She was very knowledgable about what PA programs were looking for. I am really happy with your service. Worth every penny, THANKS! Even at the busiest time of the year for applications, they got me my edit in a matter of days. They did a great job with grammar, punctuation and suggestions. I am very satisfied with the draft I got back from Sue. AMAZING EDITS. 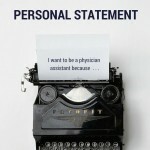 Really opened my eyes to a new perspective of what a personal statement should really be like! Just wanted to drop you a quick line to let you know that I got accepted to UC Davis, and have accepted their offer. I can’t thank you enough for your help through this process. I owe much credit to you and your amazing editing skills in helping me get in. With endless appreciation! Lisa Tepper reviewed my personal statement and her edits were incredibly helpful. 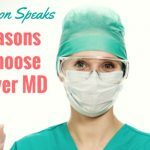 By asking me many specific questions and responding to my answers, she helped me add much-needed context to my personal stories that I didn’t even realize was missing. And she made a few subtle suggestions in my conclusion that really tied the essay altogether. I am very pleased with how my essay turned out and it is such a relief to turn in a statement that I am proud of.Thank you so much. Awesome service. Duke did a great job editing my personal statement – his feedback was top-notch. For the 2014-2015 cycle, I applied to one school. I was selected for an interview and yesterday I received an offer of admission … which I quickly accepted. I know my Personal Statement played a huge role in my success. I highly recommend this service. Just found your site today while trying to update my resume. Also, I have to recertify next year so your tests are great for a refresher course. I was in a specialty area of medicine so I now realize how much I forgot in the past 5 years. Thank you very much and I will pass on to other PAs. I absolutely love the way my essay sounds! I truly appreciate all of your help. 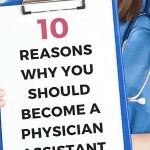 I will definitely recommend prospective PA students your way! It’s been a pleasure. I was extremely stressed out about writing my personal statement, and finally decided to search the internet for advice and assistance. 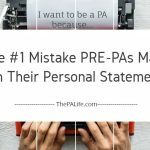 I came across the personal statement editing service on the PA Life, and decided to give it a try. I received a response within a day, and my stress was instantly relieved. I worked personally with Duke to edit my statement, and he is a phenomenal writer. He didn’t change the content of my statement, but rather helped me tell my story in a way that is much more desirable! I cannot recommend this service enough to others seeking help on their personal statement. Duke was friendly, sincere, and definitely experienced! I felt 100% confident in his editing abilities, and we worked together the entire time so that we were both pleased with the results! Thanks again, Duke, for all of your help! I am mind-blown by my editor Carly’s work. My original essay is like an ill-fitting suit. She hemmed and adjusted it in all the right places and now it looks perfect. 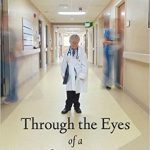 I don’t think I’m a bad writer, but I don’t write often and I have spent the past 10 years of my life focused on health sciences. I may have never been able to do this on my own. Thank you thank you, I consider this essay service a bargain. Sue Edmondson was VERY thorough in her editing of my essay, as well as the promptness of her responses to me. She not only took the time to edit the grammar of my essay but helped me remove a large portion of it to focus on the important aspects of it and draw in more details. Overall, a fantastic service! I’m so happy with the amount of time and attention that Duke and Sue put into helping perfect my essay. I’m extremely fortunate to have come across Stephen’s page and this opportunity- I would have sent in an essay that unknown to me at the time, had issues and needed many improvements. I’m almost to the point where I’m going to submit my application, and will definitely update the team on prospective interviews. I cannot thank you guys enough for having this essay review service available, you definitely make it worth every dollar and more. Sue was extremely prompt and thoughtful in providing her comments, edits, and revisions. My essay had a good start but she helped me write it with admissions committees in mind. I will keep you updated on if I get interview invitations. Sue was great to work with. Very prompt in responding to my submission. Asked good questions and incorporated my responses into my essay nicely. I appreciate the work. Wanted to let you know how this application season was going for me so far. I’ve had two interviews, still have at least three more scheduled, and I received my first acceptance last week. I just wanted to update you that I got waitlisted for Drexel but accept to Dominican University of California. I still have other interviews coming up. Thank you for your help! Duke helped me write a great personal statement. I won’t know if I’ve been accepted to the program until Christmas/New Year’s, but I feel that it was worth every penny! I wanted to reach out and thank you for your help with my personal statement. I received compliments about my essay at every interview I had. I also wanted to let you know that I will be attending Duke’s PA Program – my top choice. Your help was amazing! Thank you so much again! I just wanted to let you know that I was accepted into PA school. I start at Albany Medical College in January! Thank you again for doing such an amazing job helping me with my essay…I think in the end it really carried my application. Carly was excellent! Not only did she make my essay much more compelling, but she understood the deadlines I wanted to reach and helped me do that! 10/10!! I hope this email finds you well. I would like to thank you for your help with my PA school personal statement. I’m glad to share that I did get into my top choice – Drexel! I really appreciated Duke and his way of cutting out the unnecessary fluff in my essay. He was extremely helpful and helped steer me in the right direction to better my writing and make me a more competitive applicant. I am currently still applying to programs and will notify you guys once I get an invitation! Duke made some important modifications to my essay and offered several helpful suggestions. I appreciated his insight and a keen eye. This was my third time applying to PA school and I wanted it to be my last so I figured getting help with the essay would make a difference in my application. Paying for the one on one service was the best idea I’ve had to date. Sarah was great in that she literally combined three different essays I had written into one phenomenal essay! I literally have no idea how she did it. Sarah helped me focus all of my thoughts and experience down into one concise, yet personal essay. 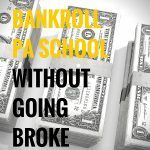 I truly think this will help me get into PA school! Thank you so much for your help with my statement. The process was everything I could have wanted and more. You were wonderful to work with and I appreciate very much how you were able to connect to my personal experiences and combine that with the traits that you know make a statement successful. I have applied to my first two PA schools and I owe a big part of that to you! I’m not sure if you remember me but you helped me a couple of months ago on my PA personal statement. Just wanted to let you know — I got accepted into University of Pacific’s PA program! I’m overjoyed! Thank you so much for all your help and encouragement! I really appreciate it. Sue Edmondson was instrumental to my understanding of the entrance essay I was trying to write as well as very honest and positive. I loved her writing technique and her instructive points were very easy to understand. Most definitely will recommend as well as keep her in my contacts for possible future essay revision/help. Thank you. An amazing experience. Glad to have worked with Duke. He did his best, and it was very enjoyable. I just wanted to let you know I was accepted to Mercy College’s PA Program last night! To say I’m ecstatic is an understatement! I wanted to thank you once again for all of your help with my essays and my interview. You helped me so much with everything and I couldn’t have done it without you! Thank you for everything. I wanted to take a moment to thank you for helping me with my personal statement. I have been accepted at Cornell, and will most likely be entering their program in March 2017. I have also received interview offers from Wake Forest, Duke, Pitt, Quinnipiac, Oregon Health Sciences, and Chatham so far. I am happy to share my success up to this point, because I would not be in this position without your guidance, wisdom, and talent. I thoroughly enjoyed working with you, and I am profoundly grateful for your help. I wish you all the best in the future. I am very thankful for all of the work and time invested in me. I learned incredible amounts from Duke about writing. Though some of it didn’t make sense to me, I knew he was right and I learned to trust him. He helped me more than any of the other dozen people I had trusted with my essay. This is such a big part of my future and my dreams and I honestly appreciate all of his work to help me get in. Thank you, Duke. I wanted to let you know how this application season was going for me so far. Sue’s comments were very helpful. Her quick turnaround time is very impressive. She responded to my concerns and questions promptly. She clearly knows what to present to the PA school admissions team. I am very happy with her work. Really helpful! Makes me feel confident. I am writing this because I wanted to share with you that I have been accepted to the University of Iowa PA program. I would like to once again thank you for your insight and guidance while writing my personal statement, it came at just the right time. I was at a point where I kept reading my essay over and over again and not knowing what to change. After Sue looked over and thoroughly edited the essay, I had a completely new focus! I knew exactly what to tweak and her service really cleared up any uncertainty I had with my essay. I’m now much more confident as I finish up my CASPA applications! Very prompt response and turnaround time. While I did not speak with Duke over the phone, his team’s edits were thorough, clear and very helpful. Highly recommended. This was an extremely helpful process! I still have work to do on my essay but Sue was very helpful by giving me criticism I needed to hear from an unbiased source as well as being very fast responding! I think this will help me moving forward and having a strong application! Sue was awesome and ensured I received my edited version of the essay in a timely manner. The editing was above exceptional and exceeded my expectations. Thanks so much!! You guys are awesome! Duke really pushed me to write from the heart and explore my true reasons for applying to PA school. I was very pleased with the outcome. I haven’t yet received an interview, but my fingers are crossed! I worked with Duke to edit and complete my essay. It was a terrific experience that I would recommend to everyone! Duke has an amazing ability to help you move things around and change it a little, while still making it feel like 100% your own work. We talked out every change we made, and we both conceded to each other in different places. He made extra time for me when I got stressed out about the deadline, and worked with me for a while each time we sat down. I paid $199 for this service, and I think that was the best bargain I ever got! I have been invited back to submit supplemental applications to some schools, and I will keep the team updated about my interviews. Thanks Duke!!! I really felt the person who edited my essay, Sue Edmondson, took the time to get to know me as a person because she wanted my essay to reflect exactly who I am. I couldn’t have been more impressed with the edits and revisions she has given me along with the reasoning behind each revision. I was very pleased working with Duke on my personal statement. 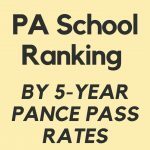 I’m currently in the middle of applying to PA school, so I haven’t heard back from the programs. I’m looking forward to the experience though. I have recently been accepted to a program that was one of my top choices, and I also was waitlisted with two other schools. I wanted to thank you again for all your help Duke. Not only am I grateful for your knowledge of writing and grammar (which were invaluable), but most importantly your kind word and motivation, which I needed so much at the time. You’re a great person! I just wanted to reach out an let you that I actually got into PA school this year! Out of the 10 programs I applied to, 4 offered me interviews. The first interview wound up being my top choice and they offered me a spot. I accept and declined all my other interviews. So I am absolutely overjoyed!! I wanted to let you know though. Your editing and help, no doubt, helped me get through the initial phase. Thank you so much! I am truly grateful. Duke helped me with my personal essay writing for PA school. He was very patient and helpful with me. I made lots of mistake on my Essay, but with Duke’s help I was able to write a sensible essay which was good enough to get Interview calls. I highly recommend his service. I thought that the service was very helpful in helping me with my personal statement. Duke was always prompt with responding to emails and made himself very available throughout the process. He was also good and helping, but also making sure that I was the one doing the writing. I think that the structure of the service helped me put in enough time to come out with a very good finished product. I am so happy to have gone through this editing process! I did not think you would take so much time to not only give me great feedback but also to edit and revise my paper like you did. I am so happy with my new revised paper and will definitely tell my friends! Sue was amazing! She was very quick at replying to my emails and looking over my paper and application. She was so helpful and has a way with words. I know I will continue to use her services throughout my application process! Carly did a great job helping my personal statement flow from paragraph to paragraph. She truly helped me show throughout the essay why I wanted to become a PA. What I really appreciated was she explained why each change was made; comments and reasons which not only helped with this one time essay but for all my future essays as well. Definitely was worth it!